The Metropolitan Police have made 15 arrests after a week of action on moped crime, with one offender even handing themselves in after seeing their face publicly displayed. Over 30 people appeared in the Met’s rogues gallery, with many linked to violent moped-enabled crimes including street robberies. 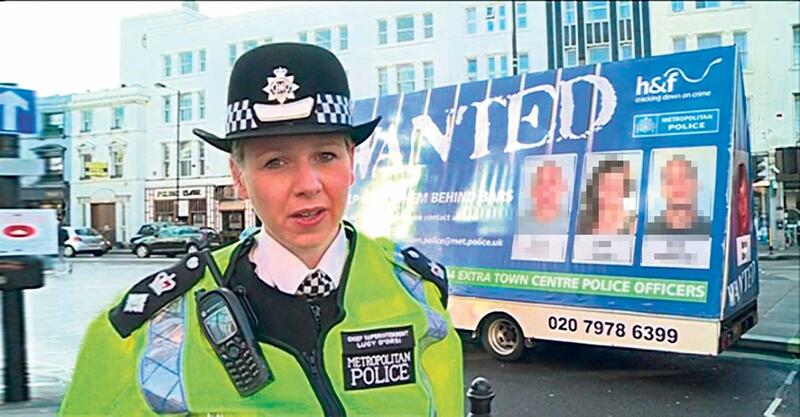 The Met’s week of action saw two vans driving around London displaying mugshots of the wanted suspects. They also had an appeal on the BBC’s Crimewatch Roadshow. The Operation Venice team, which tackles moped crime, has since made 15 arrests. "I’m very pleased with the results of this operation so far," said Detective Inspector Steve Brownlee. "By putting these images of offenders directly into the public domain we’ve extended our reach, thus gaining information and intelligence useful to our investigations which we might not usually get." The news also comes as two violent criminals who used a stolen moped to commit crimes have been jailed for a combined 14 years. Joshua Scales, 18, pleaded guilty and was sentenced to six years, four months' in prison, for one count of robbery, possession of cannabis, three counts of fraud by false representation, handling a stolen motor vehicle and theft of a safe. James Hicks, 20, of no fixed abode, pleaded guilty and was sentenced to seven years and six months’ imprisonment for three counts of robbery, five counts of fraud by false representation and theft of a motor vehicle. The worst of their crimes came in June last year, when they stole a Vespa from outside a house in Camden, then used it to commit a violent robbery on a 25-year-old woman in Barnet. She attempted to flee when confronted but was chased, cornered then attacked and left with a fractured skull and a serious brain injury. "Scales and Hicks left a young woman fighting for her life after violently assaulting her, demonstrating the extreme lengths they were prepared to go to steal property," said Brownlee. "The tenacity of the Venice team led to these criminals being located and arrested within 72 hours as well as the capture of the evidence needed to obtain their conviction and this sentence. "Operation Venice will stop at nothing to bring to justice criminals who rob people and will use every legal tactic at our disposal, including tactical contact to do so."